Zebra LP2844Z Desktop Label Printer leading the way in versatile and affordable desktop printing. The direct thermal (Zebra LP 2844 bar code printer brings a new level of performance to the Zebra desktop family. This space-saving, user-friendly printer delivers optimal performance in today's on-demand desktop labelling applications. The LP2844 is loaded with impressive features and a small price tag. 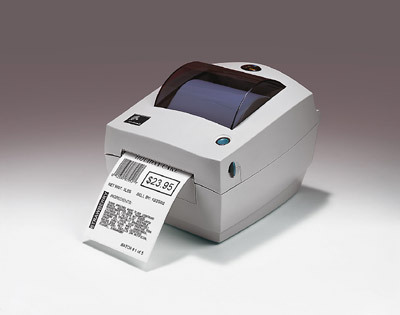 The direct thermal Zebra LP 2844-Z bar code label printer brings powerful performance to applications requiring a space-saving, desktop-size, 4.09" (104 mm) printer. Ease of use--including its OpenACCESS™ design and clear media window for simple media loading and monitoring--makes the LP 2844-Z a foolproof means to increase workplace efficiency. The Zebra LP 2844-Z integrates easily into a variety of printing applications, including shipping and receiving, inventory control, healthcare specimen labeling and patient tracking, coupon and receipt printing, transportation and logistics, and e-commerce postage. With serial, parallel, and USB interfaces, plus network connection options, the LP 2844-Z meets a variety of connectivity needs.